We love the people we work with, they're amazing. People are the reason we do this. It's always nice when they and tell us they love what we've done. "Working with the League of Live Illustrators for our Project Positive campaign was incredible. It exceeded every expectation. Yasmine and Steve understood and valued how important it was for our young people to be involved at every stage and embraced this. Together we were able to take our initial idea of spreading positivity and compliments online and make it better through challenge, discussion and reflection. Clear, whimsical, engaging and fun illustrations were combined with our compliments to be able to be shared through a wide range of social media and also through stickers, postcards, T shirts and posters. 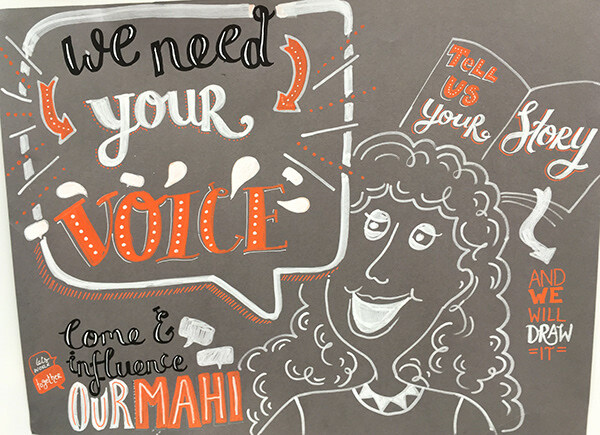 These illustrations reached thousands of people here in NZ and around the world and were shared widely to reclaim the net as a positive space as part of our campaign. We loved the process and the experience and continue to use these illustrations in a range of ways." “Miharo! Tumeke! E mihi ana ki te League of live illustrators! He ringa toi, he tohunga. During Te Wiki o te Reo Maori September 2017 Te Papa invited the League to be a part of our public programme to celebrate our reo here at the museum. Megan Salole and Stephen Templer live illustrated a mural on the big round window in the Wellington Foyer. 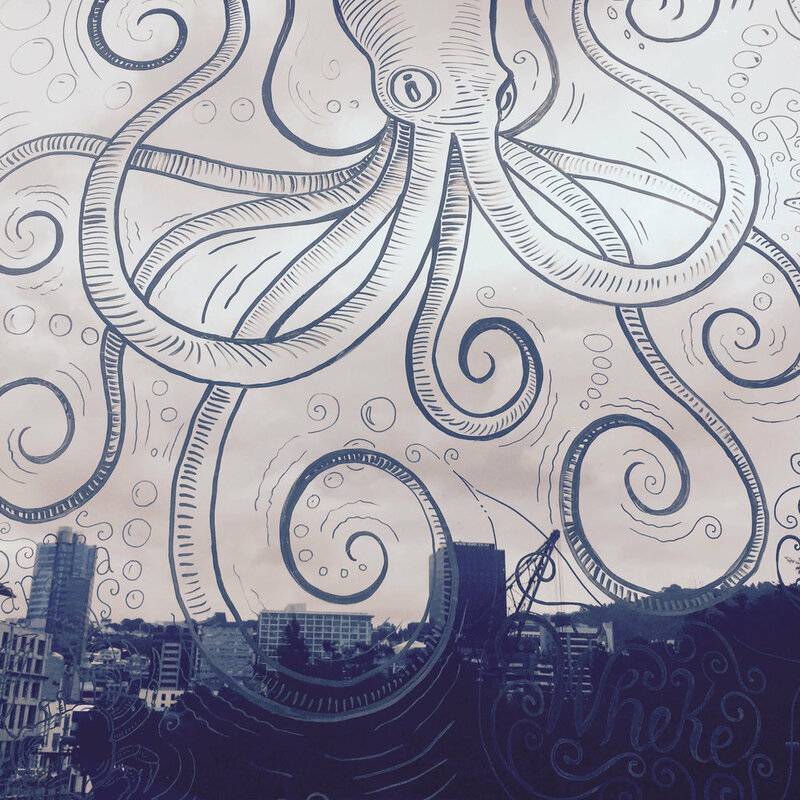 Inspired by the taonga (treasures) that are in the museum (From traditional Maori taonga through to the colossal Squid). Their playful imagery and use of Maori language was an engaging and fun way for our visitors to learn some new words in Maori. With over 2000 daily visitors to Te Papa, their work attracted great feedback from visitors and staff, and was a great way to celebrate the Maori language here at the national museum. At the weeks end we were very reluctant to ‘clean’ the window! 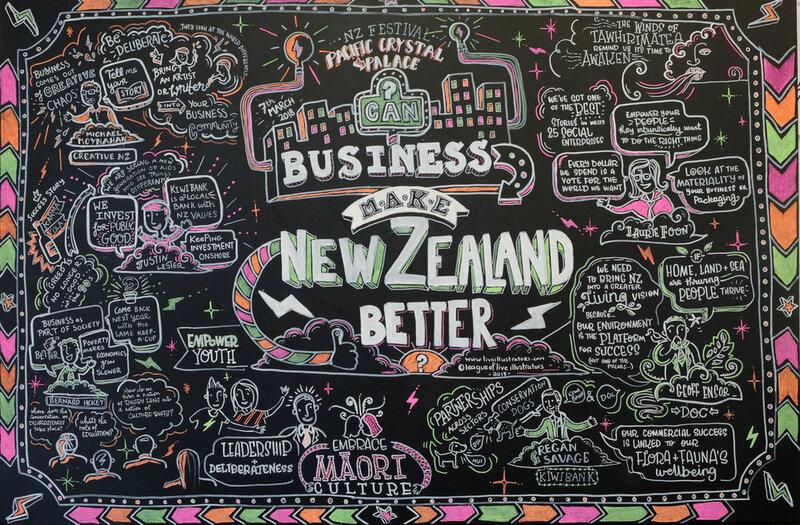 "We worked with the League of Live Illustrators for the Kiwibank/New Zealand festival breakfast event, “Can Business Make New Zealand Better?” You were thorough and attentive, particularly throughout the briefing process, and we sincerely appreciated your efforts to make sure our finished piece was perfect. We are thrilled with the end result: a striking AND informative Work of Art." "We have had lots of feedback about how fresh and interesting the illustrations made the Summit feel and what an interesting synthesis of material you were able to put together. We have many of the posters on the wall, to warm people up to what Talking Matters is all about. The issues and opportunities really pop out of them."